The Dawnfall update makes several significant changes to the TERA landscape, including a dramatic upheaval on the Island of Dawn, the anticipated release of Forsaken Island (Hard), and the dynamic return of the Dreadspire. Check out the changes below. After the destruction of the World Tree, the idyllic Island of Dawn has been transformed into a burning wasteland crawling with foul creatures. Veteran adventurers are being called back to their beginnings to rid the former starting zone of hordes of powerful BAMs and to solve the mystery of how the World Tree was destroyed. 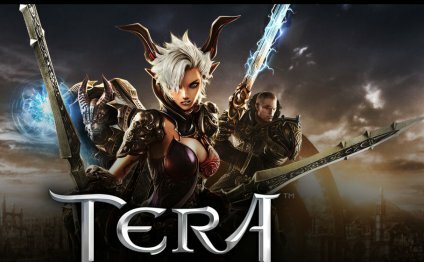 Forsaken Island, TERA’s current top-level dungeon, pits the hardiest adventurers in some of the best armor in the game against three of the toughest bosses ever added to TERA. Now, prepare for it to get even harder. The new Forsaken Island (Hard) dungeon will test the resolve of the best of the best of the best. The Dreadspire is returning to Tempest Reach, with two new upper-level challenges. Shandra Manaya remains at the pinnacle as the 22nd challenge. Nightmare Koleogg (from Rift’s Edge) and Kaprima (from Vault of Kaprima) have been added as challenges 20 and 21.